It may be hard to determine which party is liable for the injuries suffered in a shopping mall. The mall is much more than a series of shops. Inside a mall you have food courts, common areas, escalators, bathrooms, and many more. But how is liability determined in case of a slip-and-fall at the mall and at what point does the responsibility move from a party to another? In this article, you discover what you can and should do to receive injury compensation directly from one of the best slip-and-fall injury lawyers from Maryland. Accidents happen. They happen all the time in all sorts of places, including the shopping mall. One of the most common accidents that occur at a mall in Maryland is the slip-and-fall, due to snow, ice, cracked pavement, oil stains, wet floors and many others. 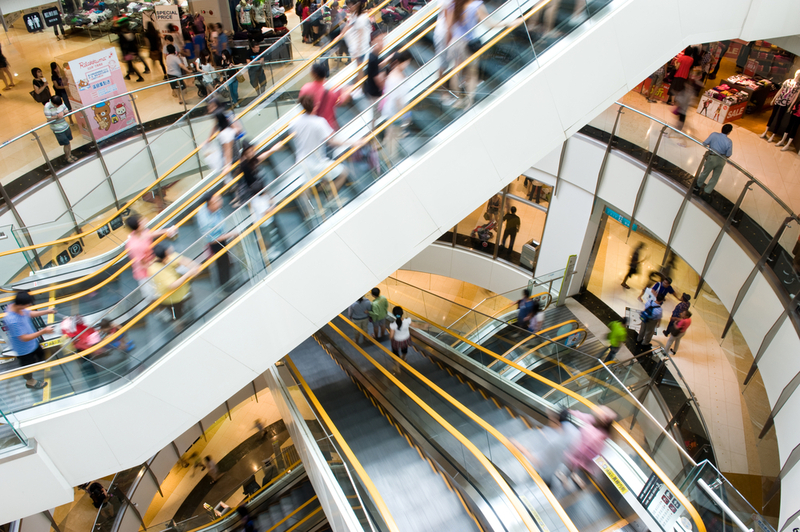 On the most chaotic shopping days, like Black Friday, many people get injured at the mall, suffering escalator injuries. You should know that if the injuries are the result of your actions, there is little you can do. Inside the mall there are cameras which can prove the defendant (the shopping mall) is not at fault for the accident. To better understand if the shopping mall is at fault or not, you have to take into consideration the negligence. If there is a condition, factor, event, that may hurt someone, the retail store/ shopping mall company should have foreseen or prevented it (such as a slip-and-fall accident caused by an oil stain in Maryland). You can file an injury claim against both of these two parties, and your slip-and-fall injury attorney from Maryland has a big chance of getting you the compensation you deserve. When being on a business premises, you are considered an invitee. You don’t have to buy anything to be covered by the duty of retail store and a mall company to maintain a safe environment. Any individual on the mall premises is considered a client doing business. First of all, before filing your slip-and-fall injury claim in Maryland, you have to determine who is the entity against the claim will be filed. This is established by your personal injury lawyer and depends on where the accident happened. If the incident happened in a retail store, you can try to seek compensation starting with the retail store. But if you get hurt in the common areas of the shopping mall, then you should sue the mall company instead. The common areas include the corridors, the areas where people walk, the parking lot, public restrooms, escalators, elevators, food court areas and other places where mall clients are allowed to go. For more information about filing your injury claim, you should contact the best slip-and-fall injury attorney in Maryland at (443) 569-3950 or send an email to [email protected].